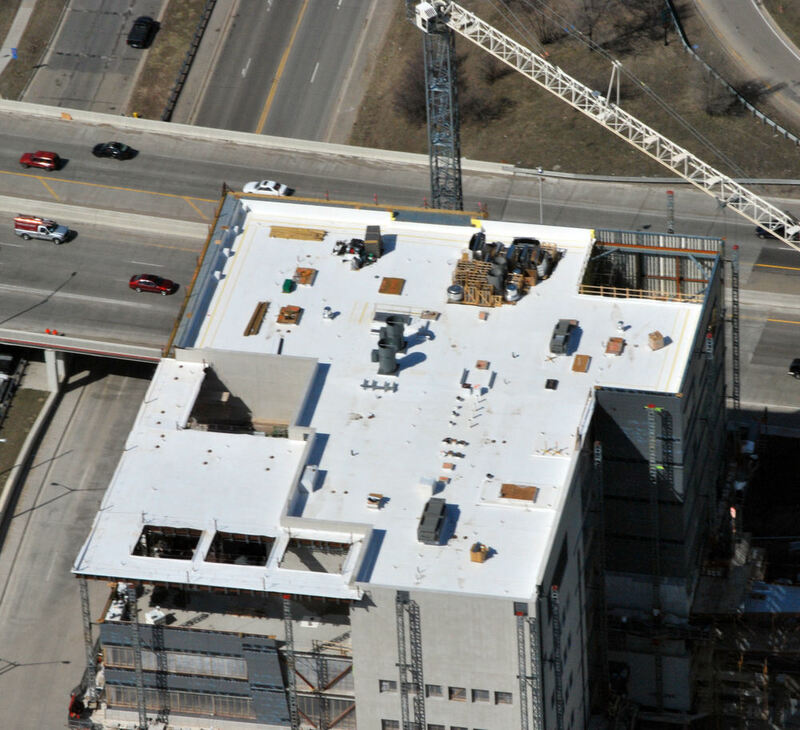 This project is a cornerstone of West Michigan's flourishing life science corridor and is located within the Michigan Street Development, a major collaborative venture in downtown Grand Rapids. The Secchia Center serves as the medical education building and administrative headquarters for the Michigan State University (MSU) College of Human Medicine. 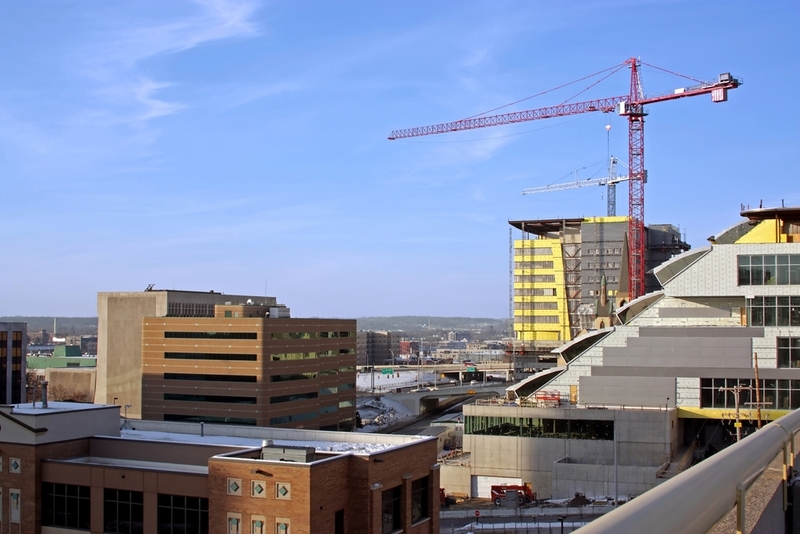 The Secchia Center's partnership of community, health and education is unique to medical education. 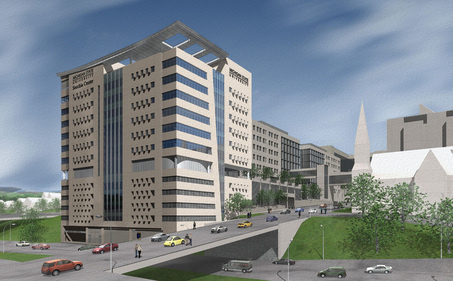 It was built for collaboration and student interaction with innovative instructional technology, and has teaching laboratories, classrooms, offices, lecture rooms, student areas, and state-of-the-art instructional technologies featuring three simulation laboratories: an operating room, geriatric suite and pediatric suite. Each of these simulation labs will feature a computerized manikin patient complete with realistic life signs and bodily functions on which students can perform "surgery". Because the manikins demand some of the most advanced technology available today, the rooms were designed and constructed as though they were actual operating rooms and include air lines providing oxygen, nitrogen, carbon dioxide, medical vacuum, and medical compressed air, as well as an ample supply of power to prevent any outages. The procurement timeline of the equipment in these virtual operating rooms is dependent on MSU's ongoing donation campaign. 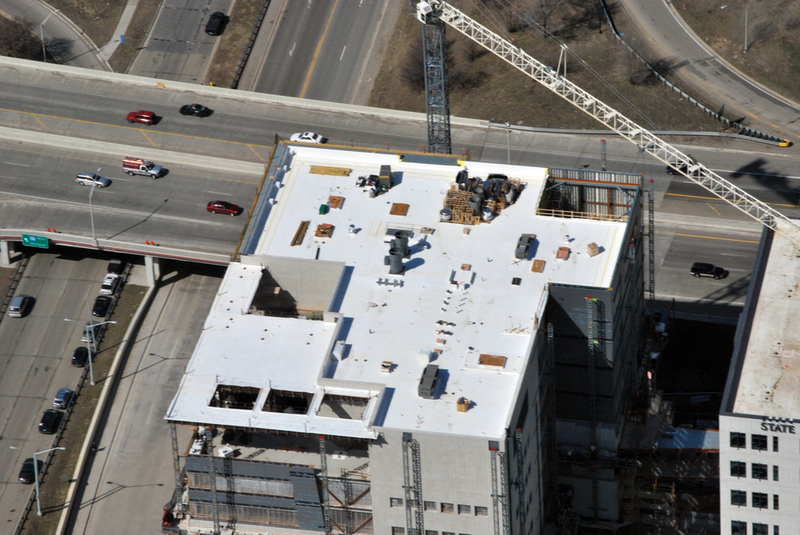 As a result, Christman worked with the design team and MSU to construct each room to a level of completion that maintains flexibility for MSU to purchase the latest technology while minimizing future disruptive construction activities such as drilling and sanding, in addition to allowing swift installation of the equipment upon delivery. 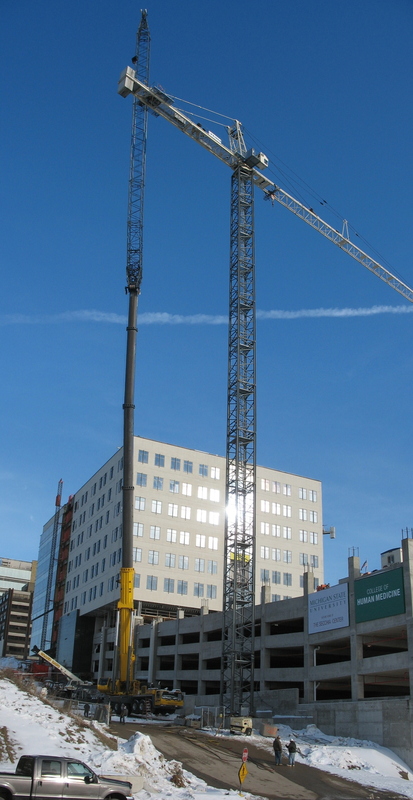 This steel-framed, seven-story building sits atop a five-story cast-in-place post-tensioned parking deck. 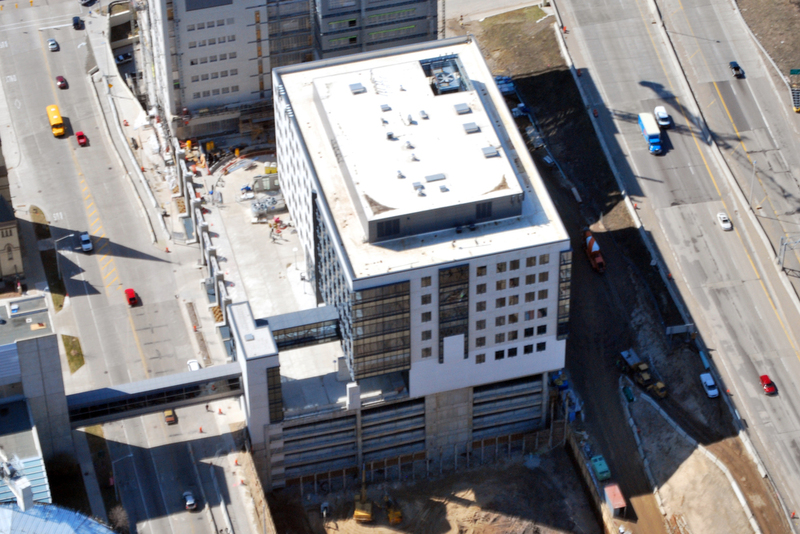 The exterior of the parking deck is wrapped with cast stone. The Secchia Center exterior is wrapped with the same cast stone, aluminum and glass. The interior is open and allows for natural light whereverpossible. In addition to lecture, lab and classroom spaces, the building boasts many lounges and study areas for group and solitary study and a roof-top garden and conservatory featuring tables, benches, vines and plants, and expansive views of Michigan Street and downtown Grand Rapids. 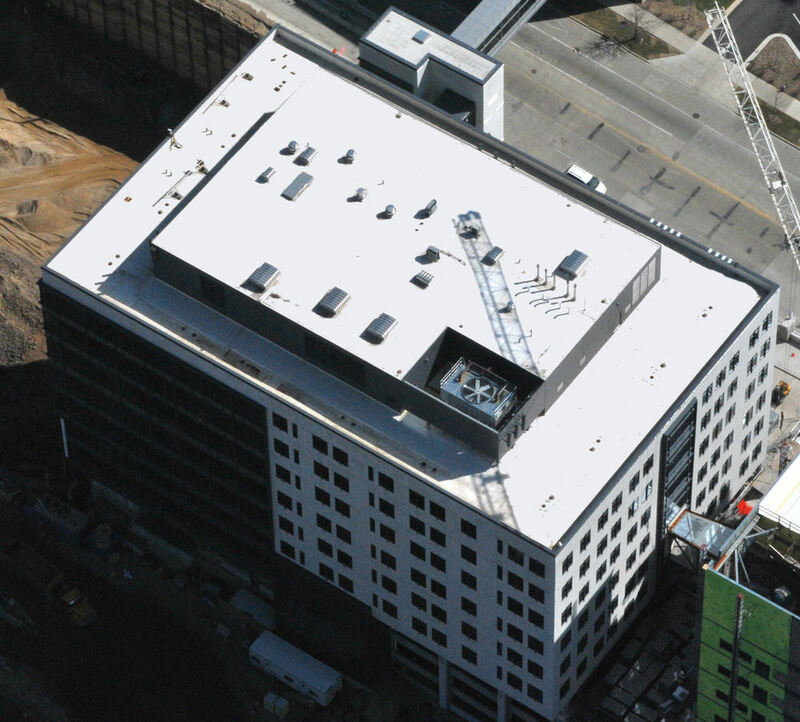 The building is designed to meet a minimum of LEED Silver certification requirements and features sustainable finish materials, low-VOC coatings, regional materials, waste recycling, and innovative lighting systems to save energy and prevent night pollution. 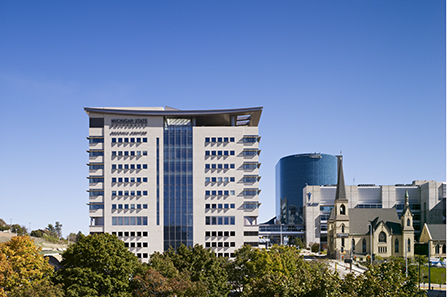 The Secchia Center is connected to the Van Andel Institute and Spectrum Health through skywalks.